POSI gratefully accepts financial contributions from individuals, businesses, and other philanthropic organizations. 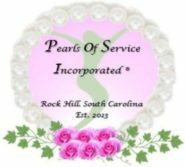 Pearls of Service, Inc. is a 501(c)3 organization. Donations are fully tax-deductible to the extent allowable by law. ..